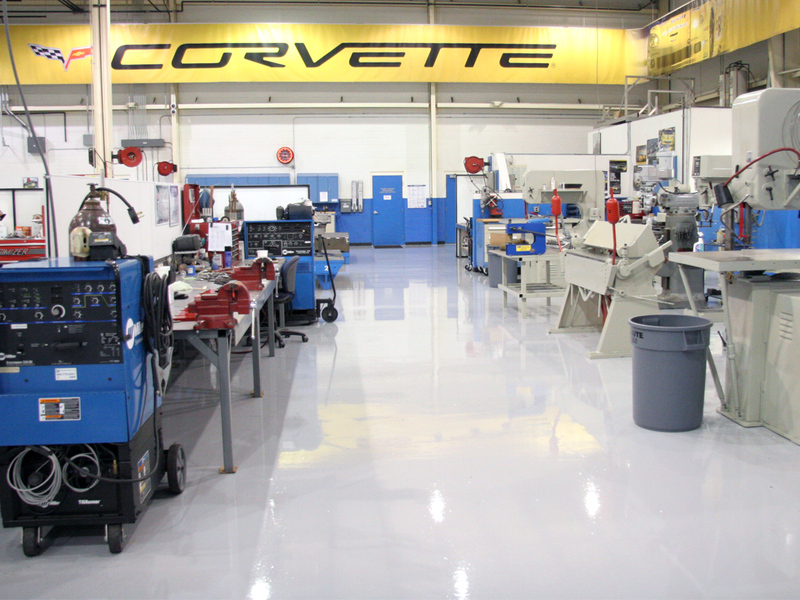 Pratt & Miller is a world-class engineering company and a respected leader in automotive, commercial, military, and aerospace industries. 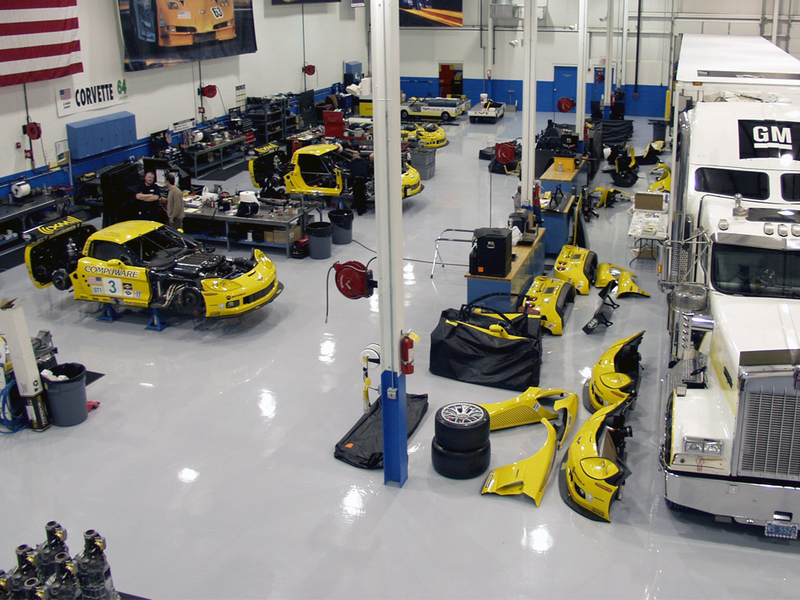 Pratt & Miller is perhaps best known for engineering and building eight consecutive GT1 manufacturer and team championships for Chevrolet and Corvette Racing in the American Le Mans Series. 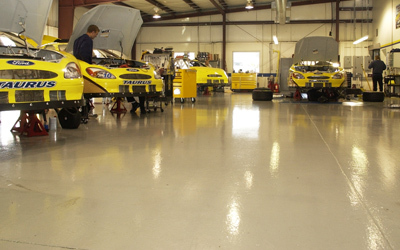 Pratt & Miller wanted to apply a floor coating system in the motor sports and vehicle production area along with the defense in vehicle restoration area. 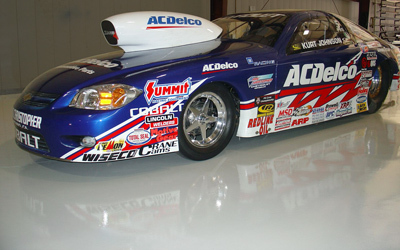 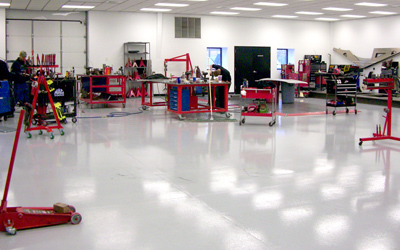 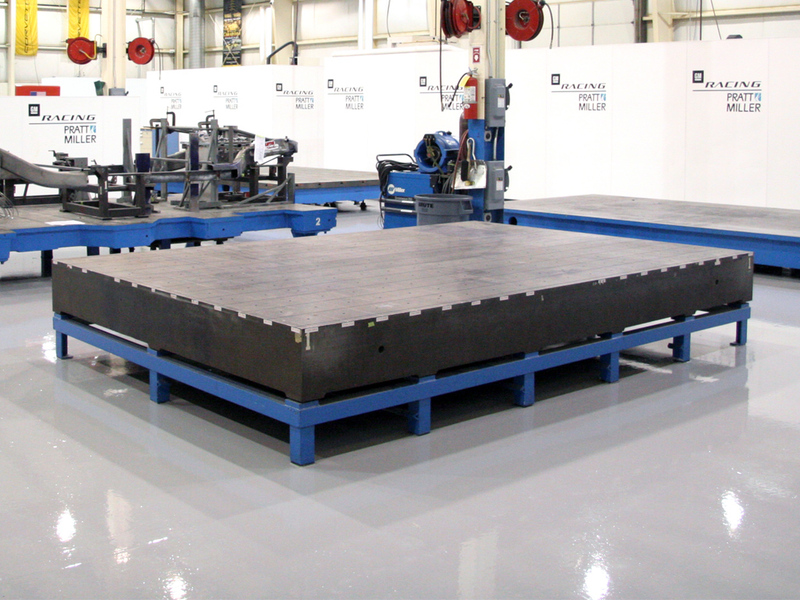 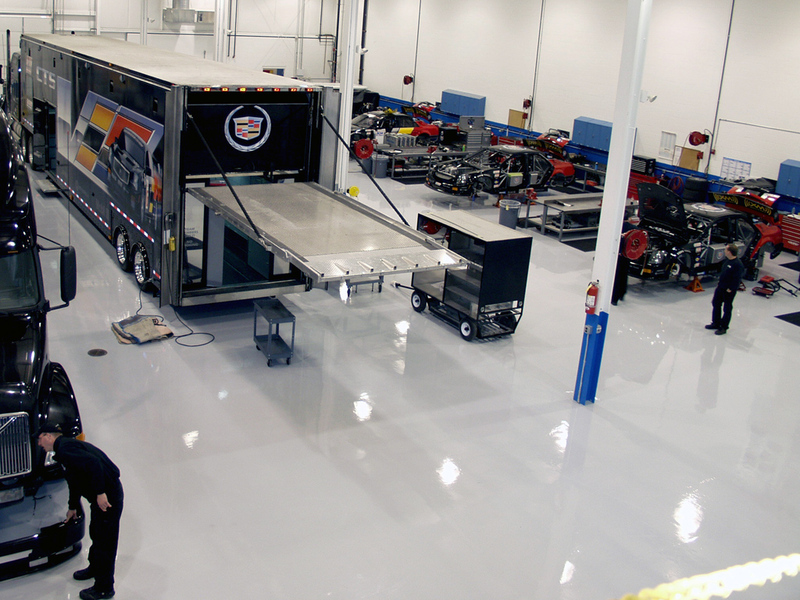 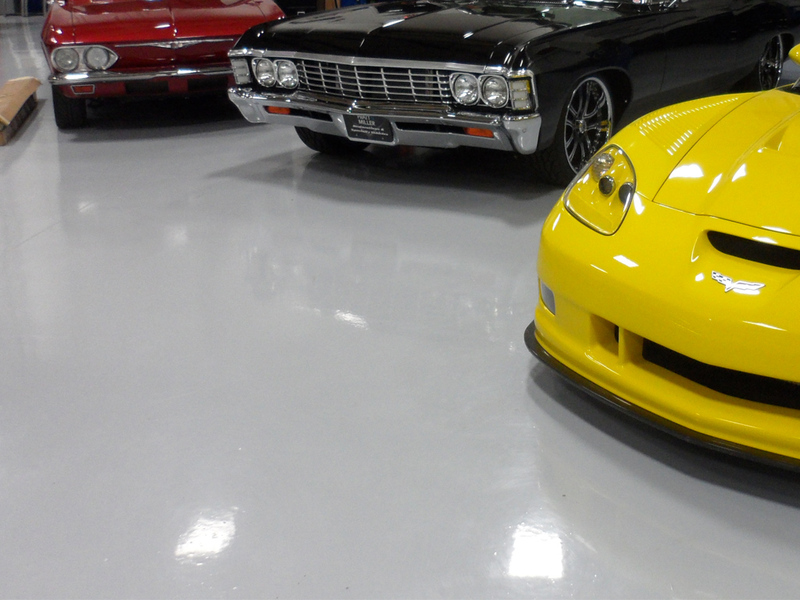 P&M wanted a professional and clean floor coating for its high-performance automotive shop. 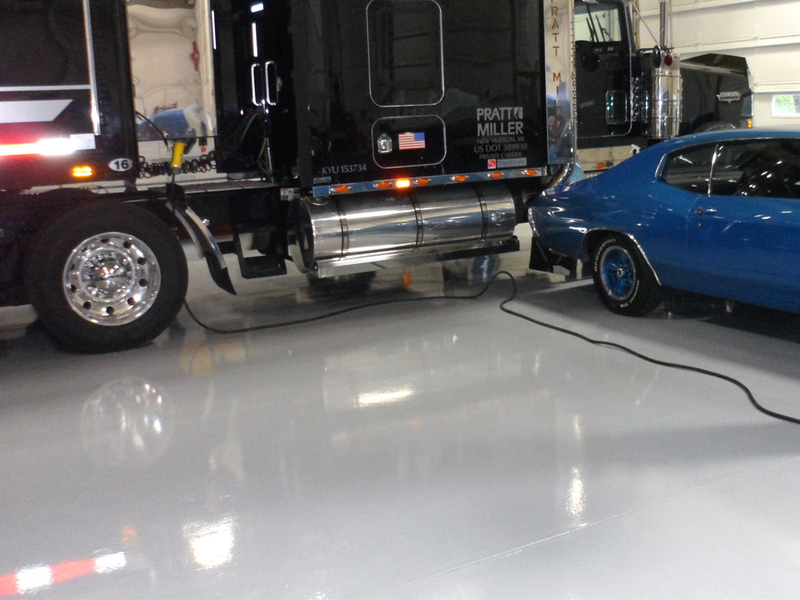 The main challenge Pratt & Miller had was to properly prep the area where the coating would be applied. 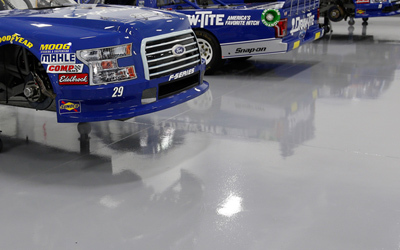 Because of the previous system, the flooring needed to go through a grinding process which would make for a better surface for the coating to bond with. 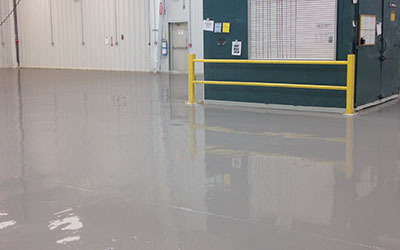 Having previously used UCoat It in another location, Pratt & Miller turned to UCoat It to, once again, coat the New Hudson, MI facilities floors. 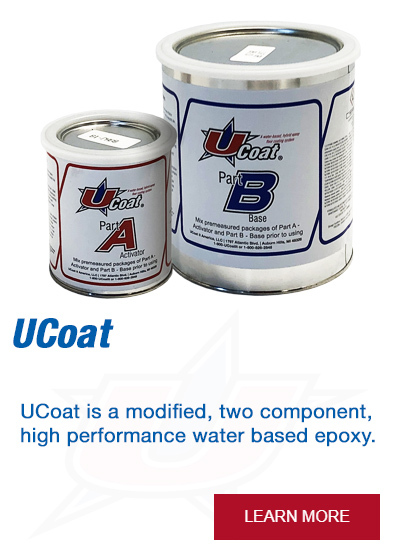 The Pratt & Miller facility is finished in UCoat Medium Gray with UGloss-AF topcoat. 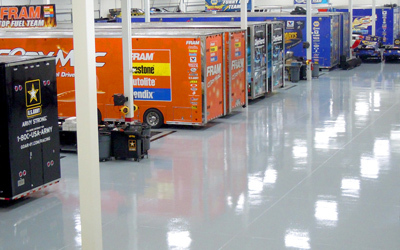 The facility features UCoat It floor coatings in all work, fabrication and traffic areas including technical and assembly. 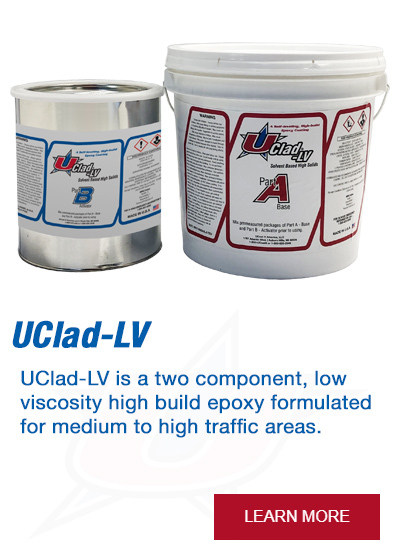 UClad-LV is a valuable low viscosity high build epoxy option for your maintenance facility because it requires little downtime and is ready for high traffic in less than 12 hours. 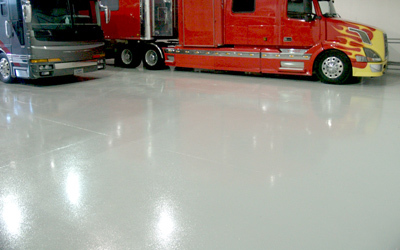 This self-leveling, high gloss finish is extremely durable and chemical resistant.